After a very successful year last year, I decided to once again participate in the annual Marist School Holiday Traditions art festival. Don’t miss this amazing event and opportunity to start your holiday shopping. The festival is opening this Saturday from 9 a.m. to 4 p.m. on Marist’s campus: 3790 Ashford-Dunwoody Road, Atlanta, GA 30319. There is a $3.oo admission fee, but it is will worth the cost! I love this event not only because of the sheer size of it, but also because of the range of items they have available. Last year I shared an area with a few jewelry artists, a ceramist, glass blower, candle maker, baker, as well as the illustrator of the very famous book and holiday tradition: The Elf on the Shelf. I packed up Saturday afternoon with a lot less artwork, a little extra money in my pockets, and an assortment of purchases I couldn’t help but make as I hung out with these fellow artists for the day. 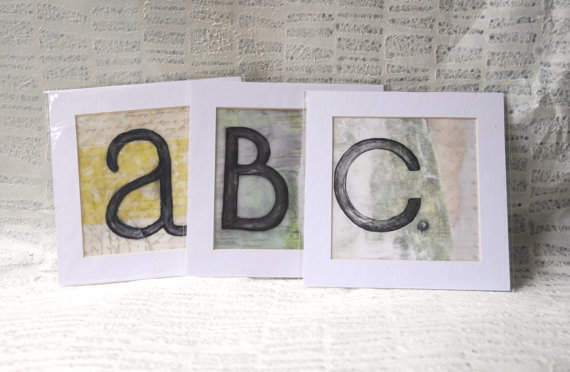 For this festival I will have my standard items, encaustic letter paintings, 6″x6″ silhouette paintings, and letter prints. 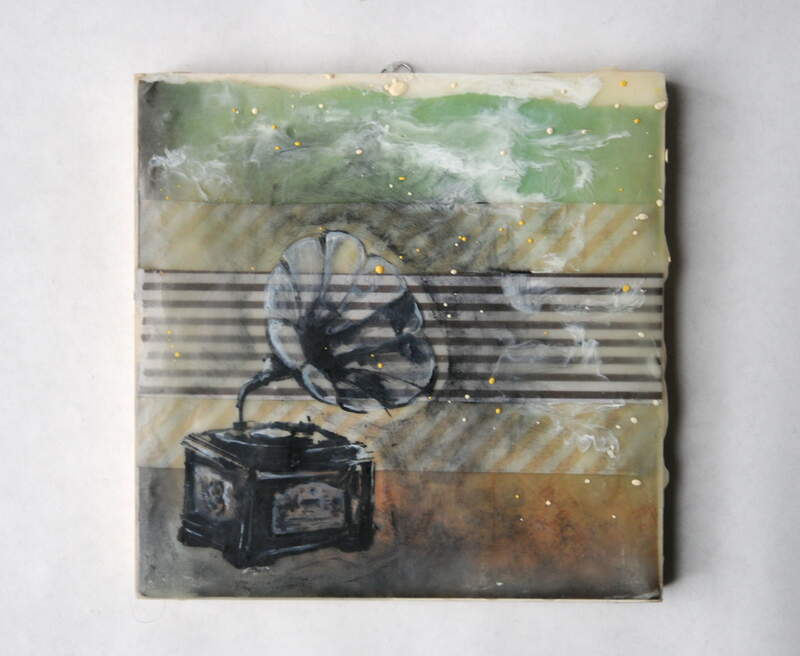 In addition, I will also have some new encaustic collages, carvings, and other mixed media items. Items range in price from $10.00 to $850.o0. 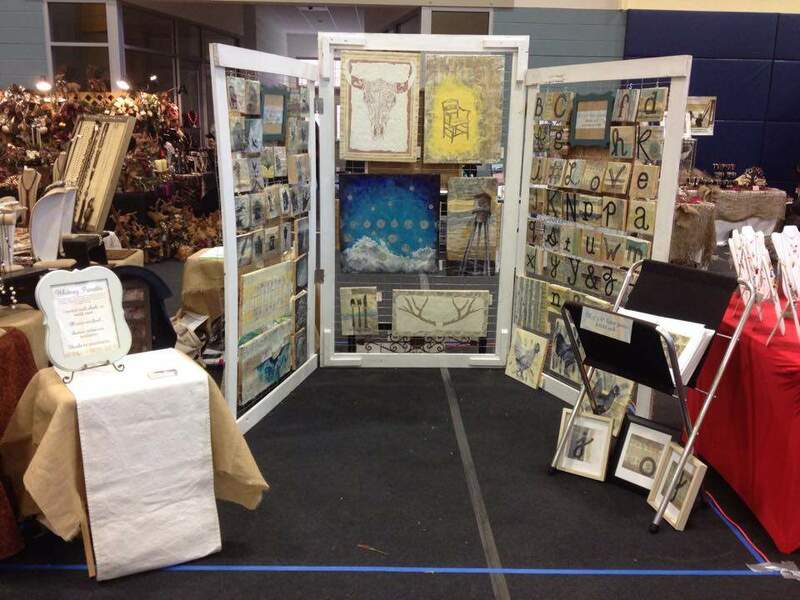 My set up will look much the same as it did last year (pictured below) but with some of my latest creations on display. Check out my Facebook page here for more updates with pictures on what I will have available. Find out more information about this annual event on their website here. I hope to see you this weekend! Thanks for stopping by. With my many craft fairs on the horizon, I had been on the lookout for an affordable stamp company to order a customized stamp from. For two out of the three craft fairs I’m participating in, I have to provide my own display, transaction tools, and packaging. I have been on a long journey to brand myself and appear to be a professional artist crafter (although the majority of the time I am going through trials and errors, running around like a crazy person). To come across as professional, and put together, I wanted my packaging to reflect my brand. I love the look of the brown, recycled bags, and wanted to personalize them with a Sweet Celadon or Whitney Panetta themed stamp. 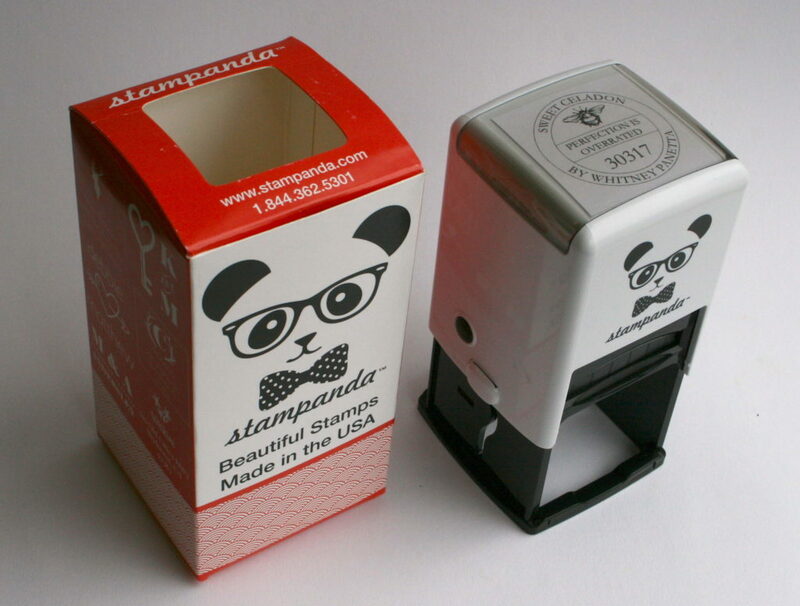 Shortly after my search began, I was contacted by a stamp company, called Stampanda, about reviewing one of their products. It couldn’t have been better timing, and they offered customized options. The deal was sweetened even further when they agreed to pair the review with a giveaway for my readers. Stampanda is an online website, based out of Florida, that offers a range of stamp products from kitchen themed to bridal. Their website is easy to navigate, and offers beautiful product pictures to tempt you the entire way. They boast high quality products, made by hand, in the USA, at a very speedy rate. They have a variety of shapes and styles to their stamps. You can find girly swirls and flowers, as well as trendy, and quirky, mustache and bird themes. You can buy stamps for your envelopes, to claim books, thank you cards, save the dates, kitchen tags, and anything else you want to stamp. They also have a wide variety of inks and stamp holders to choose from. You can go more traditional, with the separate ink and wood handled stamp, or go modern with an all in one, self inking stamp. With every design, you have customizable options. You can choose a design that allows you to edit a single line, to keep it simple, or 3 or more lines, to include more information. I was on the hunt for something a little different. I needed a design that represented my brand, as well as a size that would show up well on a bag. I tried out multiple designs before settling on my little bee. This design allowed me to add 4 different lines of text, which was perfect. I added my shop name, “Sweet Celadon”, at the top of the circle, and “by Whitney Panetta”, at the bottom of the circle. I really wanted to include my tagline, “perfection is overrated, buy handmade,” but couldn’t find a way to fit it. I eventually decided simply having, “perfection is overrated,” was enough to get my point across. I wasn’t sure what to add to the final line, until my hub suggestion I include our zip code. It was a sneaky way of saying, made in Georgia. It was perfect. By the time my transaction was complete, and my stamp was in my hand, I decided Stampanda could stand up to all of their claims. My order was processed quickly, and arrived less than a week later. The stamp was very high quality, and exactly what I was hoping for. I am so excited to finally have my own stamp to personalize my bags. This stamp will be put to good use, and will hopefully be used a lot in the coming holiday months. If you live in the state of Georgia, or Atlanta area, come see my beautiful stamped bags for yourself. 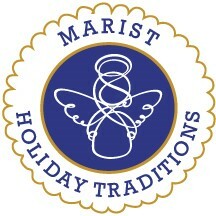 The Marist Holiday Traditions art and craft fair is this Saturday, 11/8/14, the Marietta Whimsical Wares is next Wednesday 11/12/14-Sunday 1116/14, and the St. Pius X Holiday Marketplace is Saturday, 11/23. You could win your own, fully customizable stamp, by following a few steps and commenting below. 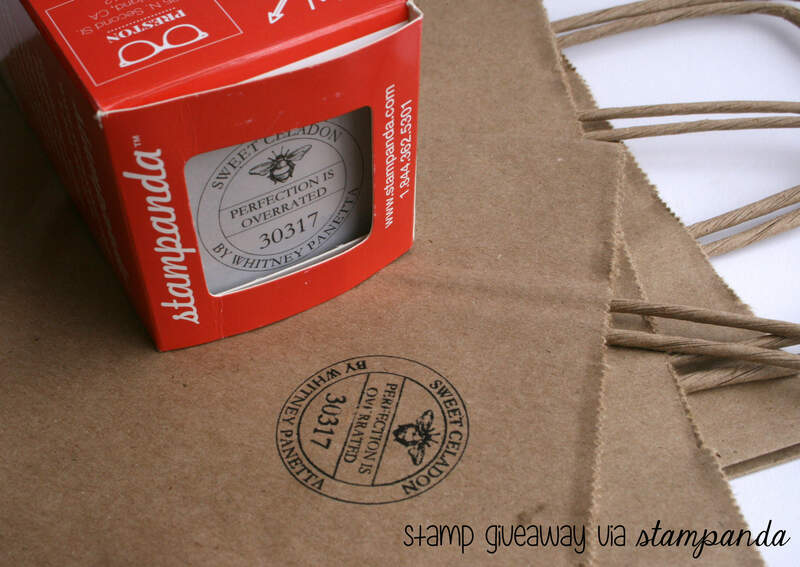 To enter, visit Stampanda and check out their products, then like their facebook page here. Comment below with the name you liked their facebook page under. To get a second entry, visit my facebook page here, like it, then comment (in a separate comment) below with the name you liked my page under. For a third entry, follow one of my Etsy shops, Whitney Panetta or Sweet Celadon, and comment below (in a separate comment) with a link to your favorite product. The winner will be randomly selected using the plugin, “And the Winner Is…”, next Friday 11/14/14. The winner will be e-mailed, and will have 24 hours to confirm. Once they confirm, I will send over their coupon code for their free custom stamp. If the winner does not respond in 24 hours, a new winner will be selected. Good luck! Thanks for taking the time to check out my blog. Help me spread the word about arts and crafting, art giveaways, and visual journals by sharing on your social network site of choice. Thanks for stopping by!